The Paul Mitchell brand of professional hair care products is available for purchase in salons and at some retailers. One specialty product offered by the brand is Tea Tree Special Shampoo, a formula that is used to rid the hair of impurities and is also thought to improve dandruff. Tea tree oil and other ingredients in this shampoo offer benefits in addition to cleansing the hair. The Paul Mitchell brand was created in the 1970s by two men named Paul Mitchell and John Paul DeJoria. The men formed the company to support hair professionals by providing luxury hair care products at a reasonable price. The Tea Tree Special Shampoo is a relatively recent addition to the product line. Tea Tree Special Shampoo contains natural tea tree oil, peppermint and lavender. These three ingredients serve several purposes, including providing a strong scent described as fresh or invigorating by the manufacturer. Both tea tree oil and peppermint cause a tingling sensation when applied to the scalp. Lavender is a flower often used to increase calmness or relaxation. In addition to the classic Tea Tree Special Shampoo, two variations are available: Lemon Sage Thickening Shampoo and Lavender Mint Moisturizing Shampoo. Tea Tree Special Shampoo is safe for everyday use but is also marketed as a dandruff shampoo. Tea Tree Special Shampoo was named "Best Shampoo" in the TotalBeauty.com 2010 Reader's Choice Awards. The efficacy of Paul Mitchell Tea Tree Special Shampoo for the treatment of dandruff has not been studied in a clinical setting, but the Journal of the American Academy of Dermatology reported that the use of a 5 percent tea tree oil shampoo reduced dandruff symptoms by 41 percent in a clinical study. This suggests that tea tree oil at this concentration can reduce itchiness and the presence of fungi that may cause dandruff. The Paul Mitchell Tea Tree Special Shampoo is safe for use on color-treated hair. It is also safe for everyday use. Its natural ingredients make it a pleasant-smelling option for individuals with mild to moderate dandruff problems. This shampoo product is not the same as a prescription or medicated dandruff product. When dandruff causes severe flaking, bleeding or infection of the scalp, medical treatment should be obtained. 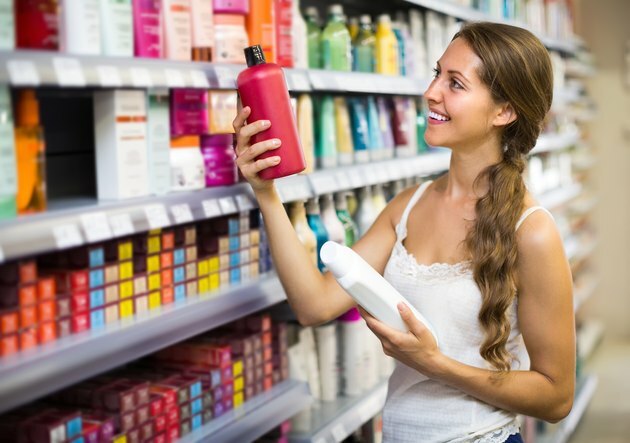 Consumers may experience complete satisfaction with the shampoo, but it is also possible the product will have minimal impact on scalp problems such as dandruff. Journal of the American Academy of Dermatology; Treatment of Dandruff with 5% Tea Tree Oil Shampoo; A.C. Satchell et al.